Commentary on the Article about the Interplanetary Magnetic Field influences | Watts Up With That? The comment by “steven” (Oct 9, 8:20 am) on this web site about an article by Lam, Chisham and Freeman (LCF) says correctly that “The science is getting settled-er and settled-er.” Finally, we are getting beyond the 30-year hiatus in climate science created by the IPCC focus on CO2. The LCF article extends knowledge a little, but fails to consider the wider climatological picture of interactions between solar events and weather patterns. It also contains some illogic. Impact of solar effects are more likely to be stronger at the Equator because of the spherical presentation of the Earth and its magnetic field to solar inputs, although it is true the Earth’s magnetic field is concentrated at the Poles (dipoles) and can concentrate incoming solar effects as evidenced by the aurora. These events are interesting and speak to the validity of the paper because aboriginal people of the Arctic used the aurora for weather forecasting. The Jet Stream (traditionally called the Circumpolar Vortex) is a function of temperature and subsequent pressure difference at the boundary between cold polar air and warm tropical air. It marks the Zero Energy Balance (ZEB) boundary between the polar areas of the atmosphere in negative energy balance and the intervening tropical area of positive energy balance. (Figure 1 A). The ZEB shifts seasonally as depicted for the Northern Hemisphere in Figure 1 B. So while the theory of this article may speak to the Jet stream and its inherent Rossby Waves, it doesn’t explain those Rossby Waves. More important it doesn’t explain the other important weather pattern determining upper level winds, the Equatorial Easterlies (EE). Their reversals are important because they drive the major weather patterns of El Nino and La Nina. Other questions include, what causes the EE to weaken and then reverse their direction? What creates the generally sinusoidal pattern of the Rossby Waves and the changes in the number of Waves generally between 1 and 8. The challenge is to have a mechanism that explains the relationship between external forces creating internally generated weather patterns, the weather patterns created by internal forces and then the way those, in turn, are affected by external forces. Some readers will be interested in reading what was going on at John Daly’s web site before the IPCC hijacked climatology, as evidenced by the leaked CRU emails. Phil Jones of the CRU provided a perverse accolade in the leaked emails when on hearing of John’s death he wrote, “in an odd way this is cheering news.” Undoubtedly, this would have amused John. Here is another more recent article I wrote on the subject of changing major wind patterns and a possible solar connection. The problem is part of the ongoing difficulty of the difference between climatology and climate science. The latter tries to interrelate all the variables and factors, the latter only looks through specialized perspective of one piece of a very complex puzzle. The Intergovernmental Panel on Climate Change (IPCC) perpetuates the deception that they examine all causes of climate change. They only examine human causes, which you can’t identify if you don’t know or understand natural causes. They tacitly acknowledged the problem by widening the definition in the 2007 Report, but little changed. Studying human impact excludes anything outside the terrestrial system. 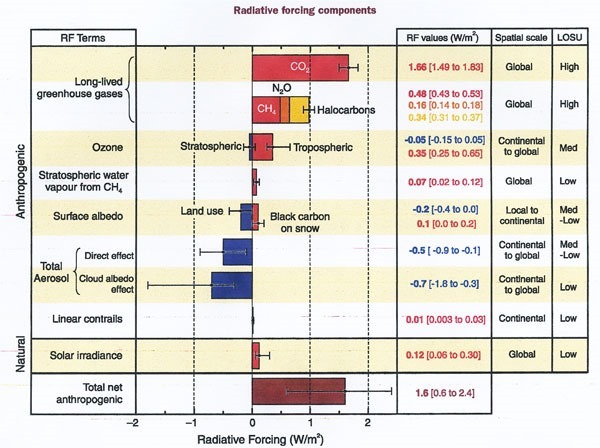 They cynically included the Sun in their list of human forcing mechanisms (Figure 1), but then only studied variations in insolation (electromagnetic radiation) thus excluding other solar and astronomic changes. It’s a circular argument developed during the ozone debate. Ozone is created by the UV portion of sunlight. They assumed it was constant, which meant any change in ozone must have a terrestrial cause. Claim everything outside the terrestrial system is constant then climate change must have a terrestrial cause. Imply climate doesn’t change much naturally, and you can argue recent changes are unnatural – that is, caused by humans. Wind is the most ignored weather variable in weather and climate research. Increase global wind speed by one kph and it alters critical dynamic mechanisms, including evaporation and transport of energy. 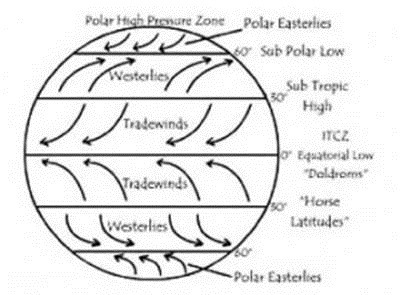 There are three large average surface wind patterns few know about: the tropical easterlies (tradewinds), the midlatitude westerlies and the polar easterlies, but variability results in significant weather changes. Large gaps in knowledge and understanding create unquestioned acceptance of illogical situations. For example, El Niño creates warm water on one side of the Pacific and cool on the other; La Niña is opposite. Yet El Niño supposedly raises global temperatures but La Niña doesn’t. Some argue they are not opposite effects, but the explanations are disturbingly unscientific. During a significant El Niño, tropical Pacific trade winds relax and warm waters from the Western Equatorial Pacific and from below the surface of the Pacific Warm Pool slosh to the east. What do “relax” and “slosh” mean? El Niño/La Niña-Southern Oscillation, or ENSO, is a quasiperiodic climate pattern that occurs across the tropical Pacific Ocean roughly every five years. Mechanisms that cause the oscillation remain under study. Finally, it remains unclear how changes in the mean climate will ultimately affect ENSO predictability. 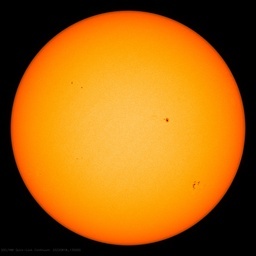 “Serious” meteorologists still prefer to dismiss any claim that there is a noticeable relationship between the activity of the Sun and events on Earth. And yet, to our own surprise, we have found a highly significant correlation between the state of the atmosphere and solar activity. They try to deflect the intimidation. Our analyses are nothing more than statistics. We can only be sure that we are right if someone can explain how such a large influence on the atmosphere can be produced by comparatively small changes in the energy output of the Sun during the solar cycle. Labitzke and Landscheidt produced work on sunspots and ENSO relationships, but they’re not even referenced in IPCC reports. Senior IPCC author Kevin Trenberth knew of the work because he was a fellow presenter at a conference with Labitzke and van Loon. El Niño/La Niña are reversals of surface currents related to reversals of the weak upper level tropical easterlies, but what causes upper level flows to reverse? Westerlies don’t reverse, but shift from Zonal Flow with few low amplitude Rossby Waves to Meridional Flow with more and higher amplitude Waves (Figure 3). Each produces distinctly different weather patterns. Rossby Waves change patterns are periodic, but the cause is unknown? Most, but especially the IPCC, seek mechanisms of change within the terrestrial system, whether it’s ENSO, the Jet Stream, Pacific Decadal Oscillation (PDO), Atlantic Multivariate Oscillation (AMO) or other fluctuations. It is more likely the changes are driven externally. There’s a possible mechanism to explain major wind pattern changes like ENSO and the Rossby Waves. Solar wind is ionized particles streaming from the sun with varying intensity. It hits the magnetosphere causing compression on the upwind side and a large tail downwind (Figure 4). Pressure on one layer will cause pressure on underlying layers right down through the stratosphere to the troposphere. There must be internal adjustments within each layer besides the transmission of energy, which result in horizontal adjustments of gases within the layer. Variations in solar wind pressure would create a bellows effect on the atmosphere below the tropopause. Weaker equatorial winds would respond by stopping and reversing their flow thus triggering the ENSO and other periodic oscillations. This is facilitated at low latitudes because Coriolis Effect (CE) of the Earth’s rotation is very weak. Jet Stream flow is much stronger and CE is correspondingly stronger at middle latitude. 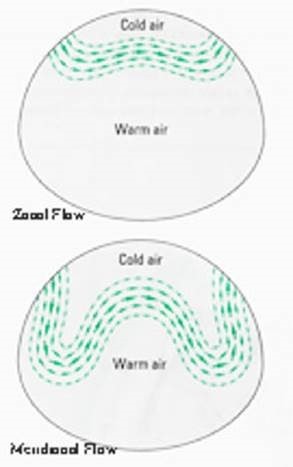 The bellow effect is insufficient to overcome these forces, so the wind reaction is increased sinuosity as it swings between Zonal and Meridional flow. Using a narrow definition of climate change to achieve a political agenda means the IPCC ignores most major climate mechanisms, especially outside the terrestrial system. Despite this, they build climate models and make definitive projections that are the basis of devastating and completely unnecessary policies. Part of the impact of solar events could rest with muons. I have never found a historical data base on muons counts so have been unable to see if any type of correlation exists. Periods of increased muons making it through the earth’s atmosphere do seem to affect the winds pushing south out of the Arctic. How any ‘serious’ meterologist could dismiss the sun as a major climate driver is beyond me. They would have to have zero understanding of climate and basic science. The idea that an object that provides almost all the source of heat in a system at varying inputs and spacial delivery has no impact on temperature and convective phenomena is retarded. Let alone the fact that solar rays impacting the atmosphere creates cloud cover, a major driver of global temperatures. Solar activity also changes Ozone cover as solar radiation created Ozone in the first place from the emerging oxygen-rich atmosphere post-Cambrian land life explosion. The impact of solar cycles and general activity on the Earth’s electromagnetic field together with proximity, and solar and lunar axial tilt cycles and subsequent effects on the jetstream also drive weather. Oceanic oscillations also play a major part of course. I’m not a climate scientist or a scientist of any kind, and my knowledge compared to some one like Anthony Watts and the majority that post here is miniscule but on a common sense/logic level to dismiss the sun seems ridiculous. Perhaps some of the meteorologists he talks about are protectionist regarding their discipline as they deal with variables within the weather system and their egos can’t handle the fact that they’re addressing symptoms and not the cause. Thank God for people like Anthony Watts who have the guts and scientific integrity to fight for the truth, on behalf of the rest of us schmucks we really appreciate what you’re doing. I would appreciate Tim’s thoughts on it. Time for Leif Svalgaard to chime in and tell us that the science is settled and that the other planets don’t impact the earth in any way shape or form. Just a few sort years ago the magnetic field of Jupiter was first discovered. It is the largest “object” in the solar system other than the sun. I remain curious, and I will go where the data leads me. So let us look and see. The current paradigm is that Rossby Waves are propagated upwards through tropospheric weather systems into the stratosphere, which can then affect tropospheric weather systems elsewhere. This phenomenon has been observed, mathematically represented, and modeled. It is a complicated issue but if you wade through enough papers you can get the idea. Some papers go off the deep end with jargon and what not. Others, especially student papers, are at a level that can be digested here. So the onus is on Dr. Ball to reject the well-researched null hypothesis by providing an equally narrowed mechanism of top-down propagation (IE from Solar output). I do not believe he has done so with this post. In my opinion the reader should seek out information about Rossby waves before getting on the Solar bandwagon. This is all about low-amplitude high-frequency stuff that has only entirely manageable solutions. The big deal has to do with the low-frequency high-amplitude transitions. I provided a detailed explanation of significant El Nino events. Click on the link above and scroll down to “EL NINO OVERVIEW”. What I did not explain in that post is that La Nina events are not the opposite of El Nino events. The following discussion assumes that readers have read the “EL NINO OVERVIEW” and the linked posts… . Dr. Ball, I am disappointed that a man with your reputation for fairness and honesty would misquote Bob Tisdale (of all the people to dis, too (head shake)). I hope it was an honest mistake done in haste. Tisdale clearly states at the start of his article from which you take the “slosh” quote of his which you ridicule that he provides the details elsewhere. Further, was that an article written by Tisdale to be understandable to non-scientist readers? I didn’t read enough to determine that. I HOPE that this was an honest error on your part. Please, do, if you care about how Bob Tisdale feels about it, correct this mischaracterization (perhaps, unintentional, I grant). It will not only make him happier, it will remove a cloud from your otherwise thoughtful, worthwhile, essay above. Not to speak for or on behalf of Svalgaard, but as a general consideration: Everything in a system interacts with that system. Stating that the planets have an effect on things is as tautological as stating that asphalt highways do. The question of interest is what effects do they have, how large can they be, can we isolate them experimentally, and have we empirically verified things to a given limit of precision. Which is generally: No. Doesn’t matter what branch of science. And Mr. Ball is absolutely correct to cat-call the modelling assumption ‘UV is constant’ without verifying it, or that it is ‘constant enough.’ But this is little different than proper physicists going around calling everything a point mass. It’s a handy simplification to get away with when it doesn’t matter. But physicists routinely get on the wrong side of non-constant constants and assumed asymptotes. The problem isn’t the assumption itself. It’s failing to justify that the assumption is harmless for your purposes, and then drawing conclusions far in excess of what your framework permits. Completely off topic and apologies but has anyone seen this? The key item people tend to miss is the role of delay. Every system has delay in its response. For a system as massive as the Earth, you can expect very long delays. Analyses which attempt to fit slopes on a scatterplot with no accounting of delays are not worth much. Don’t forget that though the total solar irradiance varies only about 0.1 % over the solar decadal cycle, the UV varies many times more, 6-7%. That obviously has a strong effect at the solar peaks, especially on the ozone in the stratosphere. Reply; not off topic in this tread, the storm was the result of the heliocentric conjunction of the Earth with Uranus on the 3rd, it is normal for large surges of MPH or polar air mass invasions to occur just post conjunction, when in phase with lunar declination tidal bulge formations. Thank you for alerting us. Human (farmers losing thousands of animals) tragedy is NEVER off topic. Thanks for the opportunity to take their pain and need before the Lord. The magnetic field of Jupiter was inferred to exist prior to the direct measurement of it in the early 1970s. Observations were made, some scientist was inspired to think that Jupiter had a magnetic field, Pioneer 10 was outfitted with instrumentation to measure it. It was measured. Ta Da. The scientific method. A great thing. When we have observable artifact that makes no sense of has no workable explanation and earth climate phenomena is replete with such circumstances, then we wait for an inspired person to propose a reasonable hypothesis as to what the explanation might be. Many will be wrong. Eventually someone will be correctly inspired and will be ridiculed by mediocre Procrustean nay-sayers. In my life time, Georges Henri Lemaitre’s “Big Bang Theory” was validated by Wilson and Penzias, who won the Nobel prize in physics for discovering the background radiation of the big bang. Fred Hoyle, the preeminent astronomer of his day, and a “static model” proponent went to his grave in 2001 denying the big bang. The scientific method is a tool for the inspired to lend credulity to their ideas. It is also a machine for the tedious to close their minds. And ridiculed by the vested stake-holders that were incorrectly inspired. Separating the wheat from the chaff is as simple as sorting out what actual knowledge they have: Ask them what assumptions they are using, and how they are justified. Either they know and can say, or will hide their lack of knowledge behind the loud sounds of a pounded podium. “Oscillation is caused by ocean current reversal. Wind creates currents so it reverses first, but wind is created by pressure differences so it must reverse. What causes that? Had you asked, Tim, I would have been happy to tell you! You appear to think that the IPCC is the source of ENSO research. They are not. Actually, the causes of the relaxation of the trade winds are well studied, and they are categorized as Westerly Wind Bursts. 1. Cross-equatorial tropical cyclones in the western tropical Pacific. This refers to a time when one tropical cyclone exists north of the equator in the western tropical Pacific, while, at the same time, another tropical cyclone exists there but south of the equator. The tropical cyclone winds in the Northern Hemisphere rotate counterclockwise and in the Southern Hemisphere they’re clockwise. Between them, the winds would be traveling from east to west. These are discussed in Keen (1982) The Role of Cross-Equatorial Tropical Cyclone Pairs in the Southern Oscillation. With respect to “slosh”, are you aware, Tim, that during ENSO-neutral conditions the surface of the western equatorial Pacific is about 0.5 meters higher than the eastern equatorial Pacific? Are you aware, Tim, that the “stacked up” warm water to the west is held in place there by the trade winds, in a “balancing act” of trade winds versus gravity? So when a Westerly Wind Burst is strong enough and lasts long enough, the trade winds can no longer hold the warm water in place and gravity causes the warm water from the western equatorial Pacific to travel east, engorging the Pacific Equatorial Counter Current—aka sloshing. It’s all rather simple actually. I saw the pingback to my blog and wondered what you were up to. So I haven’t read the rest of your post. I simply read how you attempted to dismiss my basic discussions of ENSO and that tweaked me. Because you, Tim, do not understand basic ENSO mechanics, I, personally, would tend to discount the rest of your post…which I won’t bother to read. is that some new scientific term ? So then according to you, Mr. Tisdale …. I am with Dr. Ball here, What ARE you on about ? I disagree with a small part of what you say. A small part. You are right that the vested interests will be the greatest source of ridicule. I will elaborate on my example of Georges Henri Lemaitre. In doing so I would say that your reasoning method is not not flawed, but mildly limited. When Georges-Henri read Einstein’s general theory, only a handful of people understood it. What GH saw in the theory was that the entire cosmos was moving. What he uniquely thought was that it was all coming from the same singular space. (GH stated the expansion theory before Hubble in fact) Now GH did not have Hubble’s data, and he had not yet worked out anything. He simply thought it up inexplicably. He said that it was obviously implied by Einstein. Inspiration comes from the unknown. Inspiration is not always deduced. Sometimes we have to abandon our models to cope with new ideas. Look at the Durack equation’s implication of anti matter, and especially Gödel’s incompleteness theorem. Poor Gödel went mad coping with it’s implications. I agree that we should ask about the assumptions made but sometimes there aren’t any and we have to equipped to deal with that. Since you appear to be having trouble with “slosh”, Roy Confounded, replace it with “flood”. Please advise what part of the above explanation needs to be expanded. It’s all relatively easy to understand, Roy. I don’t know why you’re fighting it. Just kidding, but you do need to read about what goes on when the water Bob T. mentions encounters the coast of South America. I’m not writing for an audience of scientists, Dr. Tim Ball. I’m writing for non-technical people who want to understand how ENSO works, so my posts are purposely as unscientific as I can make them while still presenting the processes correctly. And those of you, Tim Ball, who don’t want to understand the processes, your only option is to complain. In American if not in other Englishes, bathwater is said to slosh from one side or end of the tub to another, so IMO Bob’s usage is apt. Here you can also slosh water around in a gold mining pan, without being misunderstood. Just to add to Prof Ball’s sentiment – I credit John Daly, specifically, with lifting me out of my ignorance of the nature and complexity of weather, the oceans and atmosphere. Now well over a decade ago, I spent months in wonderment on his site, learning the bare basics of climate; and though being poorly educated in science was guided to an understanding sufficient to reveal to me, how ‘unscientific’ was the CAGW meme. A great loss, his passing, and how prescient the name of his site: – Still Waiting For the Greenhouse. oh…no offence to Prof Ball, but “slosh” per Bob Tisdale works fine for me. While I had a basic understanding of ENSO actions, it was his clear and understandable terminology that really brought home to me the enormous thing that happens, with a mysterious cadence, to the largest body of water on our fair planet, the Pacific Ocean. I look forward to being able to support his work through purchase of Bob Tisdale’s publications, when I find time to pursue and explore further. And I guess I’ve slid over to the ‘other side’ pretty fully now – a little knowledge perhaps a dangerous thing, I’ve been zapped by the Electric Universe crowd, Thunderbolts, Prof Eric Lerner’s Focus Fusion, Suspicious 0bservers and all. Still having trouble ‘imaging’ old Sol as an anode Arc Light, powered by current from the Galaxy and beyond, after a long lifetime imagining ‘the nuclear furnace in the sky’…but suspect it will come, in time. My goodness, such vitriol sloshing around. The correct term is “wind driven set up.” I think most can understand that phrase. With hurricanes it is referred to as the storm surge, however, in that case it is often a combination of very low atmospheric pressure causing significant upwelling and onshore winds, which can be aggravated by a high tide. I am aware of all the points and topics raised. I understand the processes and have followed the evolution of awareness and understanding from the Walker Circulation (1930s) through the Southern Oscillation to El Nino then La Nina and more recently El Nino Southern Oscillation (ENSO). I did not and have never thought the IPCC was the source of ENSO research. I happened to be an author of one chapter in a book titled “Climate Since 1500 AD” in which Quinn and Neal produced a chapter detailing the historic record of El Nino events from 1525 to the present. On a more obscure level I was consultant on a book of Sir Francis Drake’s venture into the Pacific and visit to the northwest coast of North America in 1579. (The Secret Voyages of Sir Francis Drake 1577 – 1580). He was very aware of El Nino and captured a ship with a Portuguese navigator (Morera) to help him deal with the currents and winds shortly after he entered the Pacific round Cape Horn. My concern is the lack of explanation for the wind reversals that drive the reversed ocean currents and water set up. The traditional explanation is the reversal of pressures and this was determined by measuring the pressure difference between Tahiti and Darwin. It begs many questions, some of which I tried to addressed in my article. Such as an ocean basin? Maybe they cynically use the word “natural” next to it mean it’s natural too. The article is interesting. It would be more credible if you could read the table before making such silly claims. I share that concern, Tim, and have needled Bob about this more than a few times, and his replies have always been good natured. I’m sure he’s correct when he says that there are mulitple triggers that can upset the La Niña equilibrium. My own favorite is upwelling cold water in the Eastern Pacific raising the viscosity and density of both the atmosphere and ocean surface there, presenting sufficient drag on the easterlies to destabilize the system. Viscosity is particularly sensitive to temperature changes in the range found in the area of upwelling. Can’t both be “the latter”. Interesting reference but wrong conclusion. Nothing can trigger itself. Something can enhance itself by positive feedbacks which is probably what this paper demonstrates. It is generally known that El Nino events start in Nino1 region off Peru. This is likely to be due to deep ocean currents running up the steep underwater cliff that is South America. My personal hypothesis is that this is deep water oceanic tides similar to the surface tides but about 1000 time slower due to the much smaller density difference compared to surface. These tides will be driven by the usual suspects (Sol, Lune) and like surface tides will have ‘quasi-periodic’ patterns that are complex and hard to understand. BTW water also “piles up” because it is less dense. “Piles” of less dense water will not flow back under gravity. I think you’ll find the 0.5m you refer to in ENSO neutral years is due to the west pacific warm pool being…. well warm. That is “sloshing”, 0.5m of height across several thousand miles over 3 to 5 years is NOT slosh. 7. Why don’t you see much publicity about the causes of El Niño? Asked by a research analyst at the Univ of North Carolina. jorgekafkazar, yes density is a key factor. The increased density (due to temperature and salinity) of water below the thermocline means there is a fairly well defined “surface” with a density difference either side. This is analogous to the ocean surface but the density difference is about 1000 less. The gravitationally induced tides on the surface are a result of density difference and the timing and periodicity of the resulting waves to tide that propagate on the surface is determined by the size of the density difference. As a crude order of magnitude estimation if you multiply 12h principal tidal resonance on the surface you get 1.4 years. We may expect the ocean thermocline surface to resonate with variations of the order of a couple of years. We then need to look for drivers on that time scale. The position of lunar perigee (point of closest approach) moves in latitude in a cycle of 8.85 years. Tidal forces are proportional to the cube of the distance an this gives a 30% variation between min and max lunar attraction due to his variation. That is plenty strong enough and of the right time scale to induce a tide in the thermocline. As on the surface, the result will not be trivial or obviously related to the position of the moon at anyone time and place. To clarify , 30% is between closest perigee and furthest apigee. It shows that the excentricity of the lunar orbit is not some pedantic technical point that it’s not “really” circular but in truth it can be ignored. No, the difference it has on tidal pull is huge but slowly varying in position. Like the surface waves , such gravity induced waves involve a major displacement of mass in the direction of propagation. Add mass and temperature difference across the thermocline and you get massive displacement of heat energy. http://www.meteonetwork.it/cronaca-meteo/october-pattern-index-opi-un-nuovo-indice-altamente-predittivo-stagione-invernale Forgot to include link. here you go for a interesting read. The bowshock does vary say 35-70 thousand km out from Earth, but I would be surprised if this caused compressive effects down to troposphere. Besides, the solar plasma has its greatest effects at the polar regions, at least through Joule heating of the upper atmosphere. It would seem a simple train of logic to me, that if the plasma speed effects polar air pressure and hence the latitude of the jet streams, that the jet streams when at lower latitudes will inhibit the trade winds. And that the northern jet has more latitudinal movement that the south jet stream, and is moving towards the equator in the same season that El Nino phases peak. Very good point. There is a well defined decline in global average surface wind speed in the last ~50yrs. That should have had a considerable effect on surface evapouration rates. Hmm…I see….I shall cogitate the matter further……..hmm……. If we look at freq spectrum of trade winds which are part of the ENSO mechanisms we find evidence of a 4.45 period modulated by 28.65 years. Since tides are produced in opposing “bulges” the frequency is twice that of the driver. cf 12h tides from 24h rotation of Earth under moon. You will have noticed by this stage that 4.45 is very close to half the perigee cycle of 8.85 years. 28.65 signal may be what we call PDO. Though just giving it a name does explain its origin. The peaks in trade wind data giving rise to the above lunar/PDO cycles are p7=3.842; p5=5.261 . This matches the usual description of ENSO as pseudo cyclic variation with periods of 3 to 5 years. ie ENSO could be lunar modulated by PDO . impact of solar effects are more likely to be stronger at the Equator because of the spherical presentation of the Earth and its magnetic field to solar inputs, although it is true the Earth’s magnetic field is concentrated at the Poles (dipoles) and can concentrate incoming solar effects as evidenced by the aurora. Good to see such matters getting more attention now that it has ‘clicked’ as to the significance of jet stream variability. My position is well enough known here. Who will turn out to have been right ? And your understanding of the term ENSO may be too restricting. Yu et al (2003) included the low-frequency component under the term. That suggests that the rest of your hypothesis is unfounded conjecture, Greg. I am taken seriously by everyone who wants to understand the basic processes of ENSO. The phenomenon that carries the initial warm water east during the evolution of an El Niño is called a Kelvin wave. You’re welcome. Obviously, Greg, the quote you provided from that webpage is outdated. This is why the indians lost America. Of course real scientist work like this and that is one of the reasons why the IPPC can rule. Divide and conquer. ps What do you think of the Electric Universe theory? On a point of usage I must say that where I come from to ‘slosh’ to is to chuck, push, tip or in some way propel liquid about (not that all propulsion of liquids is a kind of sloshing) . The activity of sloshing may, and often does, result in a sloshing sound. Nice attempt at humor, but it doesn’t work. Actually, the correct term for the initial transport (sloshing) of warm water east during the evolution of an El Niño is “Kelvin wave”. Then you ignored “all the points and topics” in your post here at WUWT. I answered your question with the discussion of Westerly Wind Bursts in my earlier reply to you. Yet you continue to choose to ignore it. You may wish to revise your post, Dr. Tim Ball, because what you claim is unknown is, in fact, well known. I’ll be happy to prepare a blog post on that subject, Jorge. I’ll simply reprint that chapter I included in the above comment and we can discuss it at length. hey, you propose a reference, then when I read it you tell me it’s “obviously” out of date. Explanations I’ve seen (including several links you’ve provided) have all been hand-waving generalities. Just another orthodoxy whipped up in the absence of a clear proof. In your endeavours to educate yourself and understand ENSO you seem have bought into the orthodoxy. How about an alternative hand-waving generalised argument? Soli-lunar driven tides in the thermocline cause a rise in deep, cold water along the peruvian coast. This equally means warmer, surface water flows in the opposite direction. This will cause a lens of warmer water which, being less dense, will settle with a higher mean level than the global average. As the warmth accumulates, tropical storms are triggered causing up draft. This induces zonal wind increase, deflected by Coriolis effect and becoming trade winds. More water gets driven west creating atm depression in pacifiic warm pool which again amplifies trade winds. Once the deep tide starts to ebb, the warm water will start to rise, now being than gravitational equilibrium it will start to flow back along the equatorial counter currents. Most of that will tie with what you have already picked up except that it provides an initial cause. That seems to me a lot more satisfactory that saying “it triggers itself”. ARGO data should make this detectable hence falsifiable. I have already seem such an animation of the thermocline but it only ran for two years. We see such a wave but it’s too short to say more. BTW like surface tides, these will have many counteracting periods that interact and vary the tidal range.That plays directly into your ENSO hypothesis of long term periodic variations in amplitude providing a means to jack up (or jack down) temps. My concern is the lack of explanation for the wind reversals that drive the reversed ocean currents and water set up. The traditional explanation is the reversal of pressures and this was determined by measuring the pressure difference between Tahiti and Darwin. since tectonics precedes the pressure by a dozen years, it could be cause (or a proxy for another less known variable) but not consequence. No respectable scientist is likely to stand out and accept a half baked hypothesis (as in the above), but sometimes may be necessary ‘tack against the wind’ in order to move a bit forward. Because I work with a neural network http://www.global-warming-and-the-climate.com/enso-and-tidal-forcing.htm and look at some of the drivers of ENSO, I would like to point to another possibility. And that is that the variations of length of day LOD are affected by both the magnetic field and from variation in tidal forcing. Because tidal forcing causes small mass deformation of Earth’s crust, the Oceans and of the atmosphere this cause small variations in the LOD. I have seen by the help of ANN that LOD is also affected variations in Earth’s magnetic field. I think that some of this connection could be as a result of deformations of Earth’s crust from magnetic variations which cause changes in LOD so that Earth’s angular momentum is uphold. In the last frame “JUN” where it stops you can see the high thermocline in the east and the cool SST matches a low sea height anomaly. conversely the warmer western waters are above normal height despite the lower thermocline. This is the ‘lens’ of warmer water I referred to. It could also be that perigee cycle is affecting atmosphere ( Richard Holle has been suggesting it’s linked to declination period) and the causality is in the other direction. Maybe a detailed analysis could detect a determining phase lag. Either would seem better than ‘it causes itself’. ‘SLOSH’ works for me Bob – keep up the good work! I don’t understand this. You assert that you don’t have historical data and then you state that a relationship exists you could only infer from the data. Which is it? I’m not being critical, BTW, only curious. I’m fond of muons, but I would have thought muon flux is ALWAYS too low to be a “player” in the Earth’s energy balance. Sure, you get order of 100 MeV per event, but we’re talking integer counts of events per cubic meter of air per second, not nearly enough to make it anywhere near the order 10^19 eV needed to make a single joule, even in the entire air column above a square meter of surface. Decay is into electron plus gamma ray plus neutrino, and the gamma ray and neutrino basically are lost without a high probability of thermalizing at all. So I don’t see muons as a direct source of heat, not even if they manage to catalyze the occasional fusion event during their ~2 microsecond lifetime. They might be some sort of proxy for something else, just like the neutron count for which there IS good data. Indeed, I wouldn’t be surprised if they covary with the neutron count (and hence countervary with solar state). Could you explain your assertion in more detail, plus why you think that they affect (or even are just correlated) with the winds? That, BTW, is one thing I missed in Dr. Ball’s discussion above as well. Beyond a vague assertion that magnetosphere compression affects pressures (somehow) it was more about “could” than “does”. The Aleutians used the aurora to forecast the weather — how? What were the forecasts? How are they connected to probable weather patterns further south, and are they connected as cause or effect? Basically this is asserting a correlative relationship stable enough to be observed and useful to a primitive people, so surely we can make the observation more concrete by now and do more than just speculate as to causes. Otherwise, sure, I agree, the climate is difficult to compute or predict and there is little evidence that GCMs are successful at computing/predicting it. Per Strandberg , using ANN is an interesting and potentially useful idea but usual GIGO rules apply. LOD is affected by changes in angular momentum due to large masses of water moving between troposphere and oceans. Also by interactions of fluid mass (mostly ocean) on the solid earth. To even BEGIN to look at this implies looking a tidal _movement_ not the primary tidal forcing vector. The interactions of ocean tides with the continental boundaries is where changes in LOD originate, not where the moon is. Also distance of the moon, not the trivial data you fed in. 1) The LOD line appears to stop about 1980, if my eyes are not deceiving me. Why? 2) Is a correct interpretation then that decreased sun spots coincide with decreased LOD? Not that small. Tidal rise and fall of the oceans is order of a meter (and as high as several meters, depending on where you are). IIRC tidal rise and fall of the crust is order of tens of centimeters. That may not sound like a lot UNTIL one takes into account the size of the earth — there’s actually rather a lot of energy involved, but still a small amount of heat per square meter on the surface. Finally, the atmosphere itself “sloshes” up and down in response to the tides, and (on a sphere) the not-exactly vertical motion is accompanied by a coriolis twisting. I don’t think LOD itself is a cause of anything profound, but it could be a proxy for (as you note) the angular momentum of the Earth shifting around as its moment of inertia undergoes small changes in response to the also shifting tidal torque. That still leaves us with the chore of deducing the causal connection, which to me is not obvious. ANNs (recall) are generalized nonlinear function approximators, and given sufficient internal complexity and a set of inputs they can fit pretty much anything, so successfully building a NN is not sufficient to prove a meaningful relationship — they’ll fit UNmeaningful data or noise if you work hard enough building them. The real question is whether a network trained on (say) half of the data predicts the other half, and even moreso, if a network trained on one half of the data and tested/validated against the other half of the data can PREDICT data outside of either test or trial set. That’s the predictive modeling game no matter what sort of box, black or otherwise, you wish to use to make the predictions. And then there is causality. Remember, you could be observing an inversion of causality. ENSO causes a mass uplift of the troposphere, which increases the moment of inertia of the planet, which might affect LOD. The NN doesn’t know which is cause and which is effect! Good point, in the early 21st century some northern european tribes used GCMs. That does not means there was any correlation between the predictions and reality. I really think this is the most useful approach to forecasting per se. And don’t forget that total solar irradiance varies by around 6 or 7% over the course of the year (roughly speaking, 46/1370 or plus or minus 3.35%). It actually rather annoys me when people speak of “constant” solar irradiance being “constant” to within 0.1% when they mean “constant when averaged over some unspecified, but very long time” at which point it is a big “duh”, because that’s what averages over long times are, constant. In the meantime, as NH winter approaches, we are actually approaching the sun. TOA peak solar insolation at the moment is already well above the “mean” of 1370 W/m^2 — above it by easily as much as the total supposed additional forcing due to CO_2 and all the unspecified positive feedbacks (it being important to remember that in the “forcings” diagram Dr. Ball showed above, water is conspicuously absent! Seriously? We’re going to leave out water vapor in our consideration of the Earth’s greenhouse budget? Or are we just going to wrap it into CO_2 and call it anthropogenic…). Don’t forget that albedo is not constant, either. In fact, there is an impressive list of things we “shouldn’t forget”. It isn’t surprising that GCMs don’t work yet. It would realistically have been somewhat surprising if they did. And yes, naive statements of ceteris paribus are not terribly helpful in the IPCC explanations, because in the climate, all things are NEVER equal. I provided it as a reference for “slosh” and general ENSO processes. You’ve either failed to read them or you’ve failed to comprehend them. Are you now claiming ENSO research is some type of conspiracy, Greg? If so, you’re now grasping at the shores of absurdity. Are you proposing that Walker and Hadley Circulations do not exist? Are you suggesting Bjerknes feedback does not exist? In reality, in my “endeavours to educate [my]self and understand ENSO” I have confirmed my understandings with DATA and presented them here and at my blog with time-series graphs, zonal-mean graphs, and animations. The metrics include sea surface temperature data, ocean heat content data, trade wind strength and direction data, warm water volume data, depth-averaged temperature data, lower troposphere temperature data, ocean current strength and direction data, precipitation data, cloud amount data, downwelling longwave radiation data, downward shortwave radiation data, sea level data, etc. You’re basing your conjecture on an animation of the thermocline that “only ran for two years”? Oy vey. Tropical Pacific thermocline depth data has been available for decades, yet you haven’t bothered to verify your conjecture with data. That tells the whole story right there. I thought you last post was about how poor the data coverage was before 2003 even down to 300m. Now it’s been “avaiable for decades”. Make your mind up which way you see it. I’ve read most of you stuff and there’s lots of data and graphs. Good stuff. I don’t recall any of that prooving the cause of ENSO (causing itself apparently) or doing anyting other than quoting orthodox explanations of how it interacts with trade winds. I said orthodoxy not conspiracy. If you want to equate the two argue the merits, don’t present it as my opinion. You question a lot of things , which is a good habit, I’m suggesting you question the orthodox explantation here. If prefer Kessler’s out of date “we don’t know”. Sounds more honest to me. Earth core magnetic data ends 1990, then 22 year filter is applied to extract the solar magnetic field component if any, this reduces time line by 11 years; result the LOD curve ends in 1980. 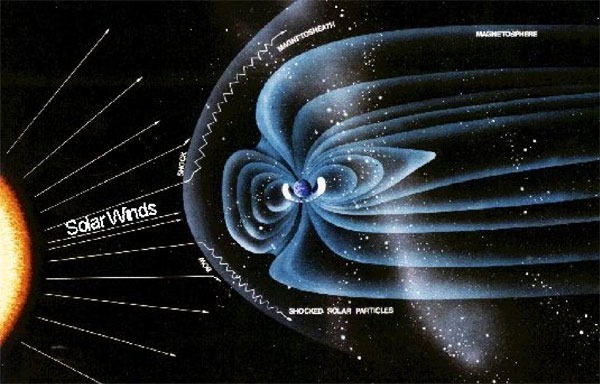 According to NASA the Earth’s magnetosphere ‘distinguishes’ between odd and even cycles: Solar coronal mass ejections CMEs in the even-numbered solar cycles tend to hit Earth with a leading edge that is magnetized north. Such CMEs open a breach and load the magnetosphere with plasma starting a geomagnetic storm. One could say that the “geomagnetic storms apply an electromagnetic brake” on the Earth’s rotation. One GMS hit in the Arctic is equivalent to a M6 earthquake in the energy input. All of these reminders are intrinsic factors driver by Earth’s tilt and orbit and by weather pattern variations producing short and long term atmospheric “filters”. And actually, many GCM can reproduce these seasonal changes. They struggle with short and long term weather pattern variations and oceanic heating and cooling. Oops, I used the “c” word. stuck in moderation. yes, considering climate is the average of weather, struggling with the variations could a problem w.r.t working out the aveage. And the average of something that is not measured, at all, is meaningless! The paper hits upon a very interesting point. What causes the wide variation in annual global minimum temperature in January? This variability is masked through the use of averages (and anomalies) and thus largely ignored in climate studies. The author goes on to argue this variability is tied to (among other factors) latitudinal air pressure and solar geomagnetic activity. That change in air pressure due to the solar wind changes the terrestrial winds and ozone mixing, which changes the clouds, which changes the weather, which changes the climate. This appears to parallel many of the points Dr Ball makes in his excellent article. I am ingenue on this subject but could the sinusoidal pattern in EEs be a result of simple flow induced Von Karman street vortices. The boundary of the vortex street looks very much like an oscillation, but at higher resolution there are interacting interdigitated eddy currents. According to NASA the Earth’s magnetosphere ‘distinguishes’ between odd and even cycles: Solar coronal mass ejections CMEs in the even-numbered solar cycles tend to hit Earth with a leading edge that is magnetized north. The correct term is ‘wind driven set up. WTF does “set up” mean. It conveys nothing of the visualization induced by the word “slosh”. And what about these winds as an energy storage mechanism? A calm sea for the whole summer can only store heat in the top meter or two of the water column, as the Sun cannot penetrate the water to any great extent and the warmed surface water will sit on the surface and merrily radiate its energy away. But a storm will mix the layers and store that warm water in deeper levels. I witnessed this in Greece twice this year, where a passing storm lowered the surface temperature by about 5oc. This was not heat lost to the storm, this was heat being mixed into lower levels of the Med. And in the Med, the subsurface thermocline is at about 10 or 15 meters down – as I found out while diving there. Below 10-15 meters there was a sharp 10oc drop in temperature, and you really needed a dry-suit below that depth. If this is so, then will the recent lull in hurricane activity mark a drop in Atlantic SST? If there are no hurricanes to mix the water column in the tropics, then surely all this energy will sit on the surface and radiate away very quickly. I believe you’re either misinterpreting or misunderstanding what was presented in the other post again, Greg. The tropical Pacific does not represent the global oceans, or the oceans in either hemisphere–just a part of them…a well-measured part! Apparently you are not aware of the TAO Project, which is an indicator of just how out of touch you are with ENSO research. The TAO project buoys were placed within the tropical Pacific decades ago and one of the variables they measure are subsurface temperatures at different depths. Greg, I believe we’re wasting one another’s times. I’ll tell you what, though. If you can convince Tim Ball to delete any and all references to my blog posts in the one above, and if he keeps me out of his future posts, I’ll be happy not to interrupt your discussions of lunar-solar tides. Fair enough? And I would expect the same when I’m presenting “mainstream” understandings of ENSO. Solar coronal mass ejections CMEs in the even-numbered solar cycles tend to hit Earth with a leading edge that is magnetized north. Apr 6, 2011 – Solar wind can flow in through the opening to “load up” the magnetosphere for … other disturbances that can result when, say, a CME (coronal mass ejection) hits. … For reasons not fully understood, CMEs in even-numbered solar cycles (like 24 ) tend to hit Earth with a leading edge that is magnetized north. Who am I to dispute what NASA’s scientists say, after all they have to take care of their spacecrafts’ electronics, and I am certain if they fail to predict the future, they very are good in predicting the past, unlike lot of climate scientists which can’t do either future or more regrettably the past. A lowering of Arctic air pressure and more zonal and northerly jet stream following Aurora. Historically, years with a lack of Aurora sightings tend to be colder in the temperate zone. Dr. Tim Ball, You sir are along with Steve Gibson from the ‘security now’ podcast my two favorite teachers. Happy you are out there. Greg said, “Nothing can trigger itself.” Careful Greg. There are a ton of good Christian people here. But there are also non-believers of any God. To insult their religion by stating, “nothing can trigger itself,” when, in fact, they believe everything was triggered by nothing is probably not within the scope of this post, nor this site. And to state it as fact in a forum of people trained to think through things scientifically makes you out to be a little pompous. This thread has featured at least three professors from different N. American universities, so I expect either to be ignored or at best shred into ribbons. Neither bothers me, but second is preferable at least from other readers point of view, it is entertaining and often illuminating. well, well, for 270 years June temps says ‘its sun stupid’, but then for following 30 years June temp says: it is not the sun and even louder it is not CO2 either. Regardless of the amplitude we can observe that the CET drifts in and out of the phase with the SSN, and on occasions rise in temps precedes rise in the SSN count ! Step 1: subtract 11 year CET moving average from 4 year m.a. the oscillating graph is obtained as shown in the lower graph. Step 2: combine sunspot magnetic cycle with the Earth’s decadal magnetic oscillations, so called geosolar cycle is obtained, repeat above filtering. Step 3: plotting two shows that the high insolation temperature is in phase with the magnetic oscillations. Dr. Ball, Dr Brown, Dr Svalgaard or any other Dr. about, turn on your shredding machine, or you may prefer to keep clear of ‘pseuroscience’. OK, good, we have a correlation actually stated. Aurora up means jet stream up. Aurora down, jet stream down. Colder in the temperate zone when the aurora is down, and arctic air pressure is high. Aurora is certainly connected to geomagnetism and solar wind and so on. So the remaining thing is why that affects air pressure, and how that might or might not affect climate beyond weather. We have heard of “Dr. No”. Now we have “Dr. Not So”. I can deal with it…. Exactly so, Bob. Good memory. “…ENSO simply provides feedback to itself.” — Bob Tisdale, from 2012 link. It pushes the pendulum far enough that it has no choice but to swing back. It’s a very odd pendulum, though. Thank you, Bob. I think this is important enough to kick around a little more, bring us up to date re the WWB findings, and anything else that’s piqued your attention, lately. It seems clear to me that the Sloshomatic eventually becomes so unstable that it wouldn’t take much to create an asymmetry and collapse the La Niña bulge. Once it starts moving, there’s no stopping it. “Slosh on, O mighty western Pacific warm pool bulge!” as Walt Whitman would have said. RGB I repeat an earlier comment quoting from one of my earlier comments..Happs work and data analysis deserves careful study. Also anything that gets Mr “one track mind” Lief in a tizz is good by me. Few know about? We learnt about them in our Geography lessons when we were thirteen. Is your assumption that humans and what they do is not natural? If so do we have any papers to say what we are? Though I am thinking more along the lines of varying polar pressure and jet stream latitude as the cause of the modulation of the trade winds, it also ties up with how El Nino phases peak in the N.H. winter.